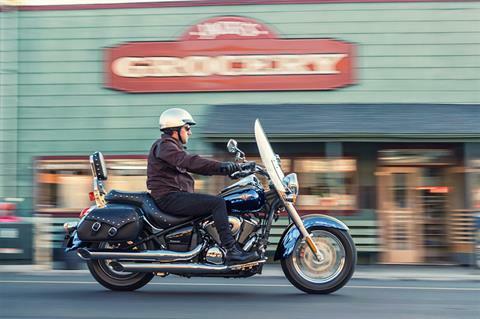 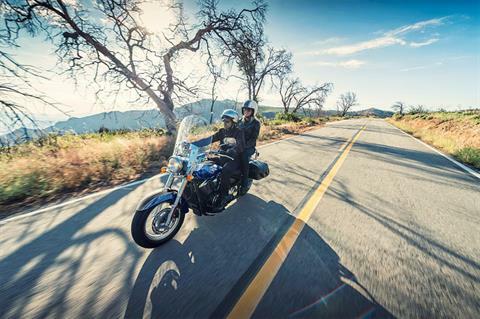 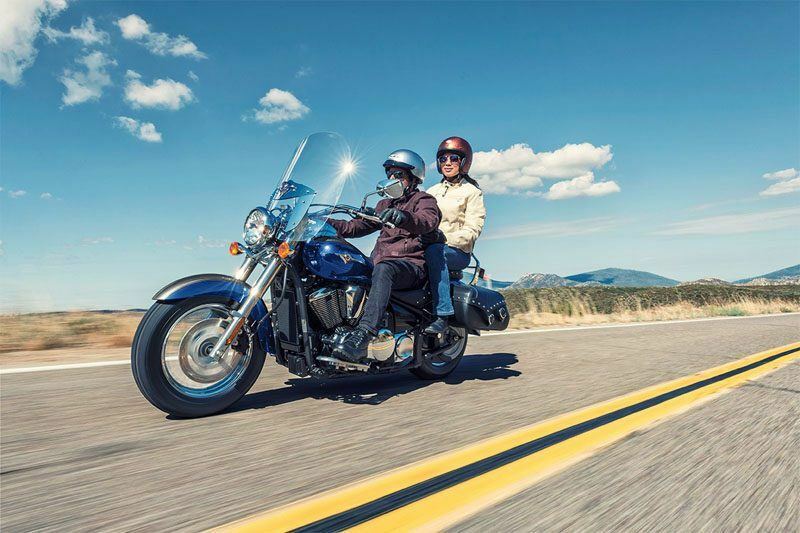 FULL-SIZE PERFORMANCE IN A MIDDLEWEIGHT CRUISER GIVES YOU THE POWER AND EFFICIENCY TO TAKE ON ROADS OF ALL SIZES–ACROSS TOWN OR ACROSS STATE LINES. 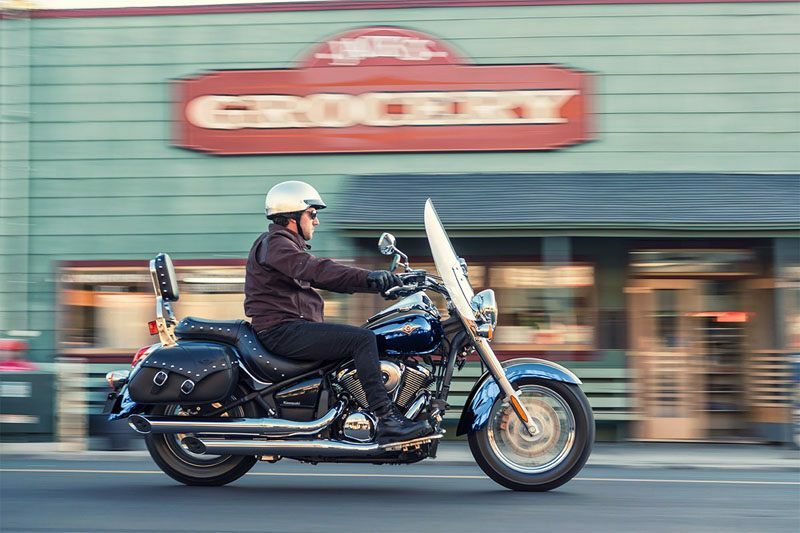 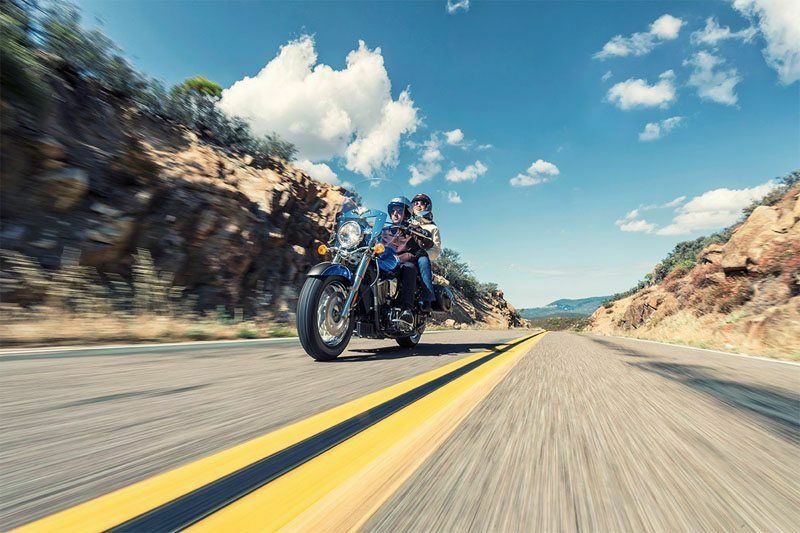 ENJOY ALL-DAY COMFORT WITH THE SCULPTED SEATS, SPACIOUS FLOORBOARDS AND A PROTECTIVE WINDSHIELD, AND LET THE POWER OF THE LIQUID-COOLED 903cc V-TWIN ENGINE PUT A SMILE ON YOUR FACE. 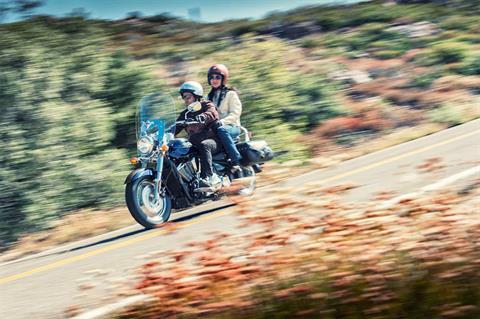 Fuel-injected 903 cc V-twin engine delivers ample roll-on power and excellent fuel economy. 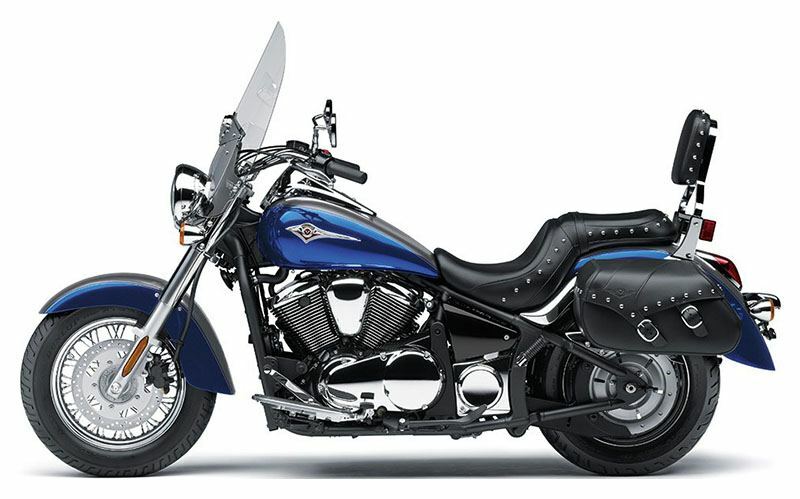 Comfortable seat for rider and passenger with standard passenger backrest. 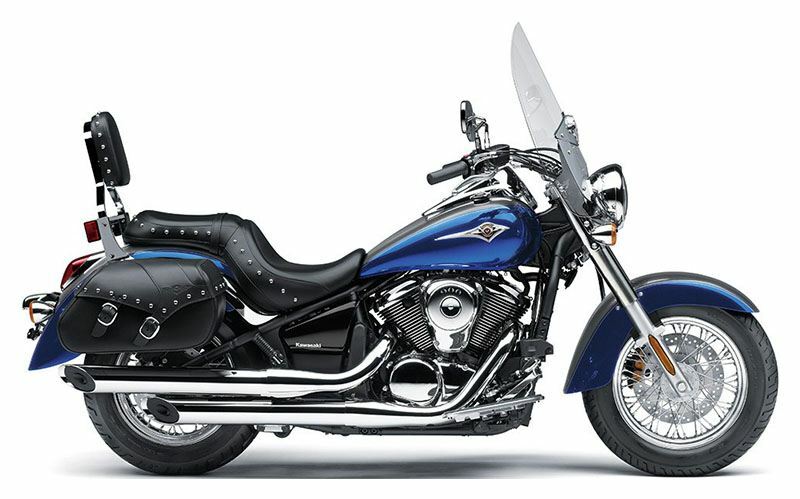 Studded seat, leather saddlebags and backrest add style and functionality. 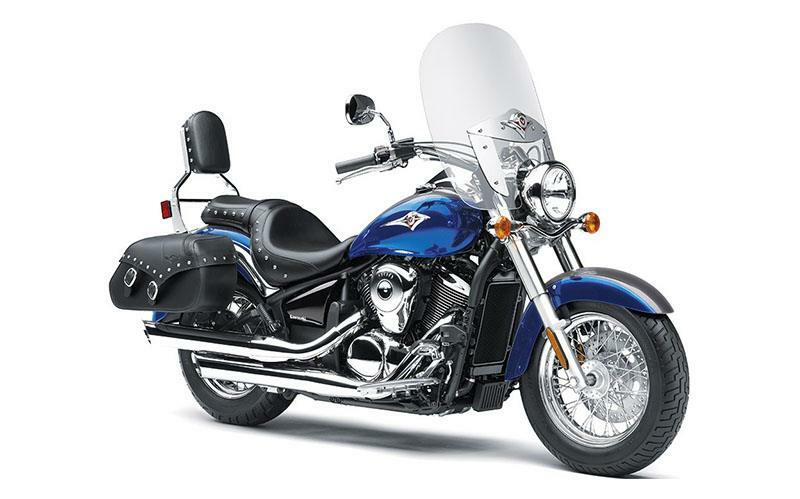 Height adjustable windscreen adds comfort by reducing wind fatigue. Low seat height adds to rider confidence by enabling both feet to be placed on ground at stops.